SNOOKER specialist George Weyham (@GWSnookerTips) previews the outright market ahead of the 2019 Welsh Open, picking out his favourite outright fancies. The last leg of the Home Nations Series heads to the Motorpoint Arena in Cardiff for the Welsh Open. All 128 players in attendance are gunning for the Ray Reardon Trophy. John Higgins is the reigning champion and he opens his defence against fellow Scot, Graeme Dott. Given John’s huge struggles this season, and especially recently (three 1st Round losses already in 2019) he must be taken on. I’ve never seen him so devoid of confidence. Maybe retirement is looming for the four-time world champion. Bar a quarter-final at Riga in July, the 2006 world champion Dott hasn’t pulled up any trees this season. He made the Shoot-Out and German Masters final last season so is more than capable of bringing it altogether in an event still. Dott is a hardy, gritty competitor and if you wanted someone in a battle for you, Graeme would be near top of the class. It’s very surprising he’s only won two ranking titles (made nine finals). Dott first faced Higgins in the 1996 version of this event, winning 5-4. He’s beaten him six further times since, lastly in 2015. I’m sure if Higgins could of hand-picked an opener in Cardiff, in his current form, Dott wouldn’t of been high up on the list. If Dott can defeat Higgins for an seventh time on Monday afternoon, the draw opens up lovely for him. He’s more than capable then of getting full steam ahead and deep into the tournament. It’s a wide open Quarter 1 and Dott has as good a chance as any in there. The 200/1 (250/1 with Ladbrokes boost) could certainly be big value Monday evening if Dott, world ranked number 21, can beat the defending champion. Mark Williams impressed me at the World Grand Prix, even though it ended in defeat 4-3 to Chinese wonderkid, Yuan Sijun. He said on Twitter after the loss he would ‘prefer to lose 5-0 with a high break of 16 than lose 4-3 with a pot success of 95%’! Granted, it’s frustrating to lose but he must have been very happy with how he played. And in general since late November, it’s only been the end result that has let him down. The previous week Williams made the German Masters quarters, losing 5-0 to an inspired Kyren Wilson, but had beaten Zhou Yuelong and Joe Perry in the previous rounds, scoring heavily. In the Masters, he threw it away against Neil Robertson from 3-1 up. Before Christmas, he lost in the Last 16 at the UK, 6-5 to Stephen Maguire from 4-1 up. Again, playing very solidly before then. The Welsh Potting Machine has won his National Open twice before (1996 and 1999) and in 23 appearances here, has lost in a further final, three semi-finals and three quarter-finals. His draw this week doesn’t look too taxing; Neil Robertson and Barry Hawkins look the biggest threats in his Quarter, but he wouldn’t face those pair until the last-eight itself. Williams won the World title for a third time last May after an 18-year wait to regain. It would be a 20-year gap, if he captured this title a week on Sunday. Nothing surprises me anymore with this quite brilliant player. He’s 16/1 for ranking title number 23. I can’t leave one of the stars of the season, Dave Gilbert, out the equation in Cardiff. He’s playing the best snooker of his career at the moment. Gilbert made the final at the World Open in August losing to the aforementioned Williams. He then made the final at the German Masters at the start of February, losing to Kyren Wilson – he led in both finals before losing narrowly. He played terrific again in the World Grand Prix at Cheltenham this week gone, losing to Ali Carter 5-1 in the quarter-finals after previously whitewashing Chinese pair Yan Bingtao and Ding Junhui. His scoring this season has been fantastic (33 centuries) as is his general attitude and calmness. He’s a ranking winner in waiting. Ex-top 16 professional, David Roe, who knows Gilbert very well, said on Twitter, he thinks Gilbert is capable of winning five ranking titles before he retires. Once he gets one, they could come in buses. Gilbert was good friends with the late Paul Hunter, who won his first ranking title in this event. Gilbert has yet to bypass the 2nd Round in Wales (in eight attempts) so he’s certainly due a run here. He has the extra incentive of being very close to a top-16 berth at the Crucible in April (prevent him from qualifying). It’s safe to say, 80/1 (Ladbrokes) on the Tamworth potter is too excessive, and well worth a go to break his duck, especially the top class form he’s currently in. My last selection is extremely speculative. It’s Gilbert’s and Kyren Wilson’s regular practise partner, Mark Joyce from Walsall. The world rank number 46 is having a tough season results-wise. He’s lost in four 1st Round matches. He did win two matches at the Scottish Open before Christmas, one was against former top-16 player Ricky Walden – he lost to eventual semi-finalist Daniel Wells in the Last 32. Joyce is seeing a lot of players lower than his ranking go deep in events this season – Wells being one, also Eden Sharav, Sam Baird and Zhao Xintong. Jimmy Robertson has been around his ranking for many years and broke through winning at the European Masters. On paper, he’s as good as any of these guys. especially in this sort of event – he just requires a bit of luck. 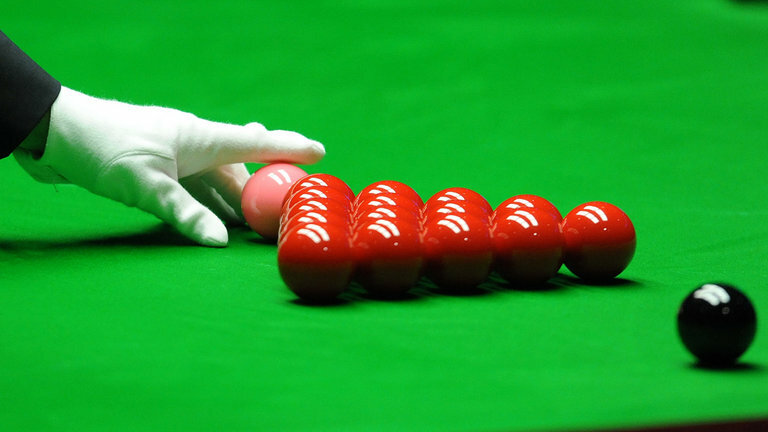 Joyce faces Mark Allen in the 1st Round here – as tough a game as you can ask for. However, they have played six times before, Joyce has won four of them. In a best of seven, it’s anyone’s and looking at Allen’s loss to Ali Carter in Cheltenham (forfeited the match at 1-3 down) I’m not sure he’ll be right mentally for this. For a player who’s been stationed in the world’s top-50 for six years, and has beaten the likes of Ronnie O’Sullivan, Judd Trump, Neil Robertson and Allen before, there’s no way on earth he should be 1000/1 to win it, even if it’s unlikely (only one can win this!). Some of the players who are also 1000/1 in the outrights, have absolutely no chance – Joyce should be half that price, max. Mark has an excellent amateur pedigree and has made six career ranking quarter-finals, three of which were last season. At the start of this season, he made a costly error and adjusted his cue in length which hasn’t helped him. It’s back to normal now. A bit like Dott against Higgins scenario, if Joyce can shock Allen, he might just have a good run in Cardiff. 1000/1 (Ladbrokes) is totally insulting, whatever happens.